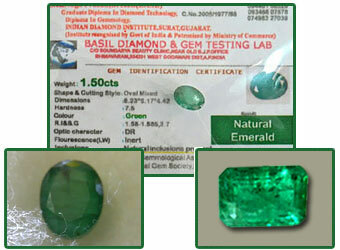 Emerald or Panna is a gemstone of 'Beryl' family. Emerald Birthstone is rare because it's difficult to find a perfect emerald of rich green color, completely transparent, with a soft reflection and high specific gravity is difficult. Emerald improves our memory power , communication, perception, the intellect and the capability to learn. Emerald or Panna gemstone should be worn especially by Teachers, Diplomats, Scientists, Astrologers, Architects, Medical personalities, Doctors, Businessmen, Property dealers, Publishers, Accountants, Engineers, Writers, Post officers, Insurance officers and Intellectuals. New wed couples should'nt wear because it impairs wedded happiness by decrease in sexual desires. Emerald or panna is the blessed stone of Goddess Venus. 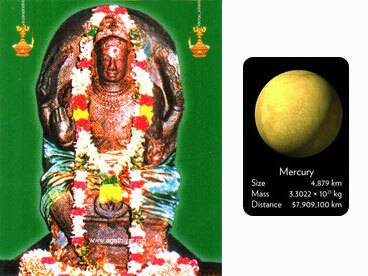 Emerald symbol of hope, was a consideration to preserve love and a stone of prediction.